The campaign to save Eastbourne Law Courts from closure is gathering pace. The Old Orchard Road building, which houses the magistrates’ court, county court and family court, is one of almost 100 earmarked for closure by the Ministry of Justice. Eastbourne Law Society president Christos Christou said this week the proposal to completely close Eastbourne courts will have a massive impact on the local community. “The vast majority of cases will be transferred to Hastings,” said Mr Christou. “This will mean an increase in travel time and costs. It is anticipated there will be longer delays for cases to be heard. 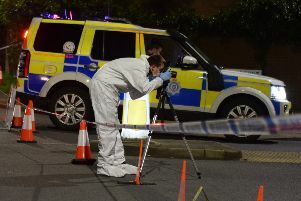 “In terms of criminal cases this will not impact simply on adult and youth defendants but also victims of crime, witnesses, police, magistrates, court clerks and lawyers who will all now have to travel to Hastings if there is to be a trial. “In terms of family cases which can take months to be resolved with numerous hearings, the same applies with parents, families, the council, CAFCAS and lawyers again having to travel to access justice.